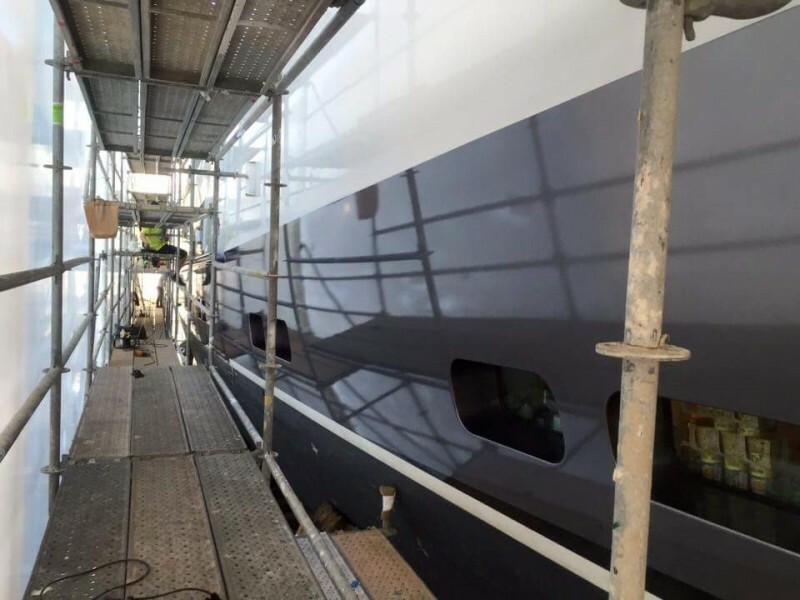 M/Y Turquoise Yacht – Hull Wrap & Colour Change. The hull wrap and the black wrap on the house sides for M/Y Turquoise were completed by our team of Wild Group professional fitters in Port Denia, near Alicante in Spain. 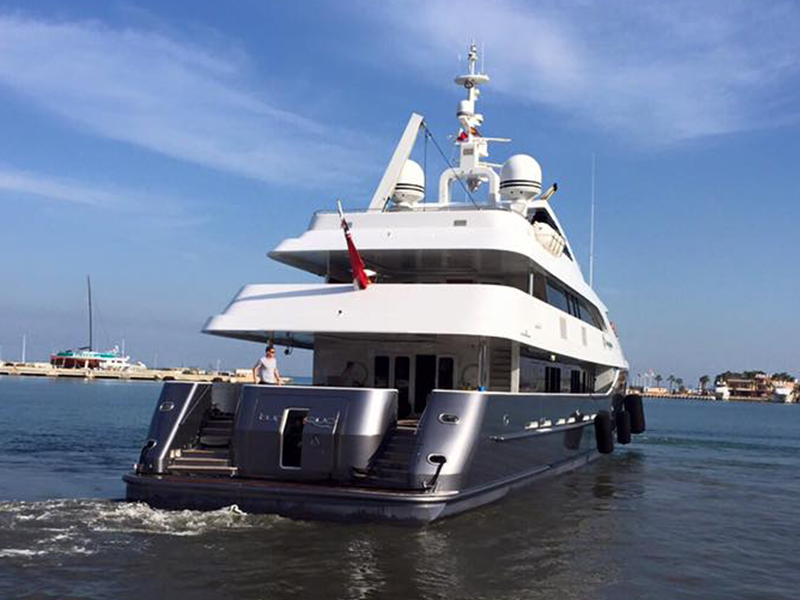 M/Y Turquoise is a 55.40m motor yacht, custom built by Proteksan Turquoise Yachts in 2011. 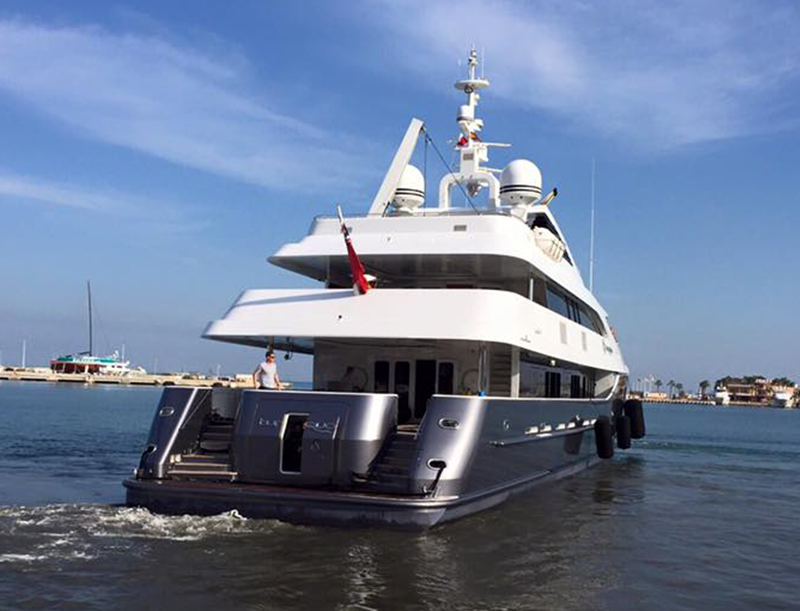 The yacht’s interior was been designed by H2 Yacht Design and exterior styling by Dubois. She was last refit in 2014 and was nominated for the coveted International Yacht & Aviation Award in the ‘Power Yacht over 30m’ category in 2015. 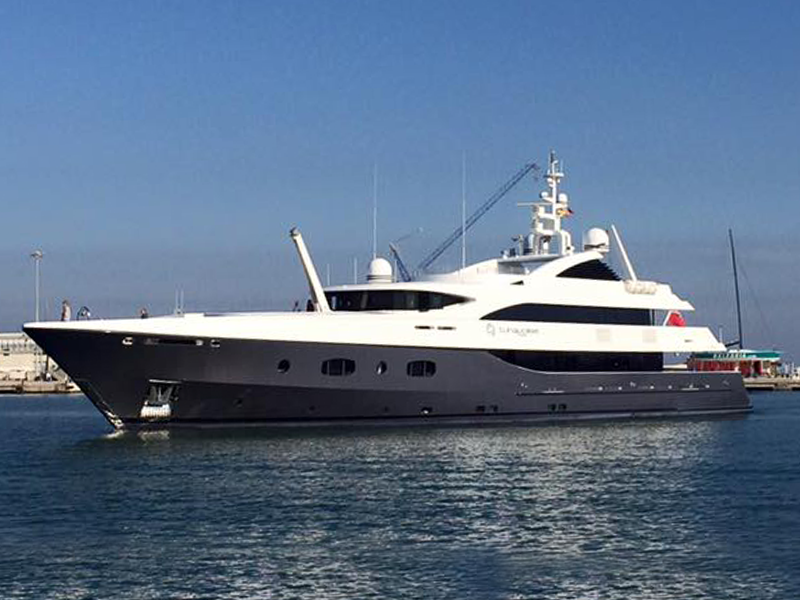 Turquoise maintains a very busy charter schedule between the Mediterranean and Caribbean, which means she has very little time for exterior refit, such as paint finishing. Last year the Wild Group team colour matched Matterhorn White to wrap the super structure overhangs as the paint had become matte through sun damage. 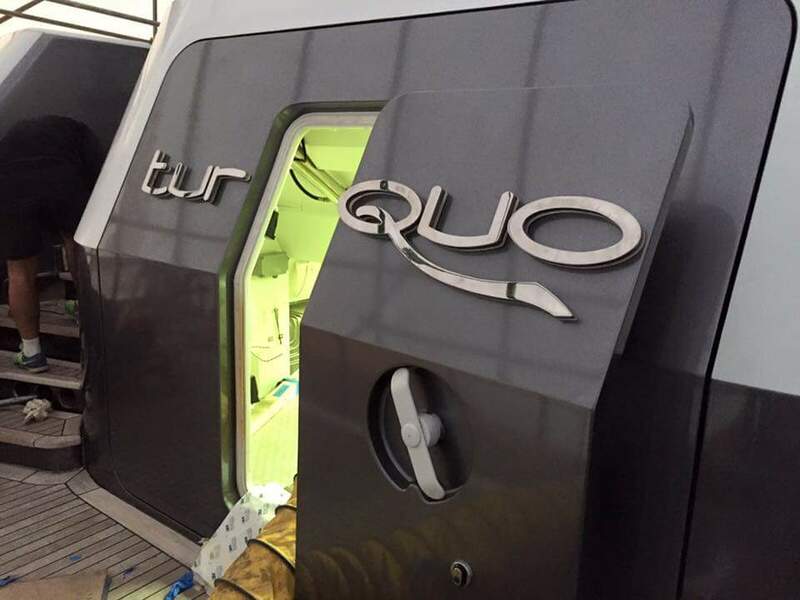 The success of this super structure work led the Owner and Captain of Turquoise to wrap the hull and at the same time opt for a colour change. ‘Last year, the Wild Group team colour matched Matterhorn White for the aft overhangs on decks one and two. 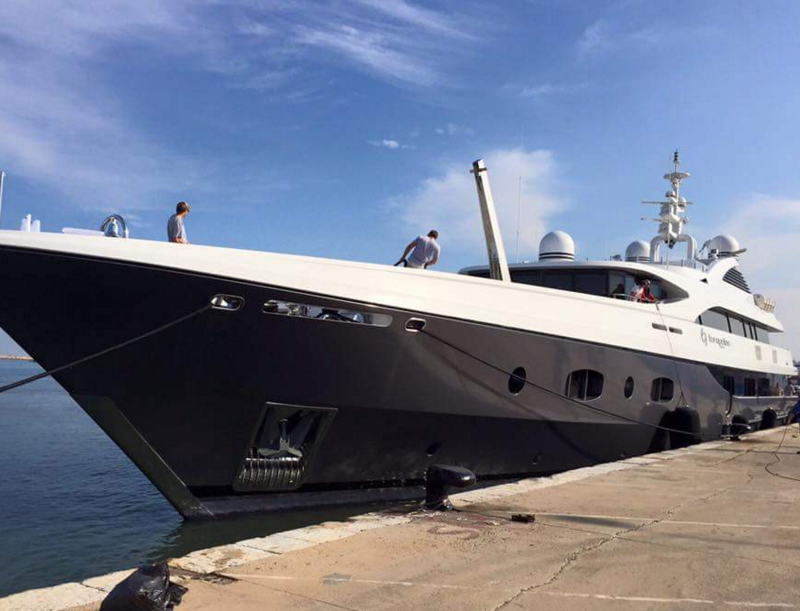 Both the crew and the owner were very happy with the completed job, plus it saved the owner both time and money…and as we have a very busy charter schedule during both the Mediterranean and Caribbean seasons, this was a real deal clincher. 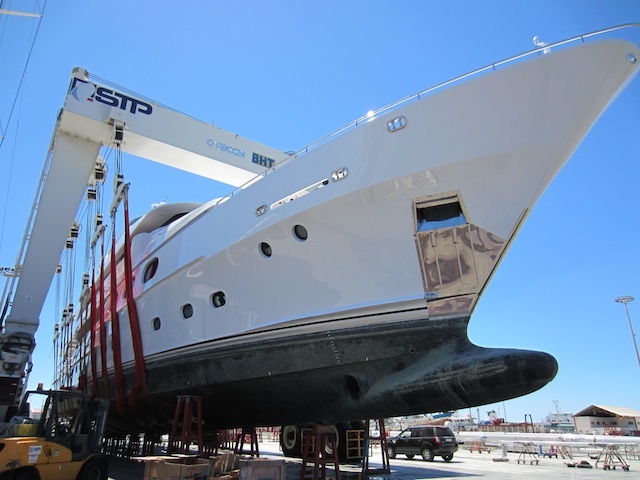 Our owner is very hands on with the yacht and since we required a hull re-finish post Med season this year, we collaboratively decided that contracting Greg and his team to give Turquoise a brand new look was the best choice to make.